The lower Santa Fe River is spring fed with dozens of springs and siphons. Jerry knows this system like the back of his hand. 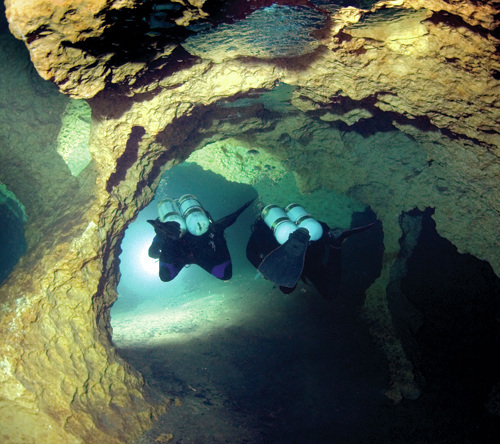 He can take you to the back of Ginnie or off the beaten path to rarely visited river cave! Where do you want to go? Dives in the Siphon Creek caves are only accessible by boat. 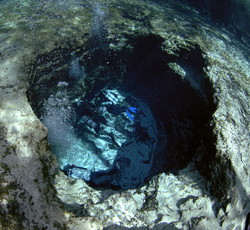 Guided dives include use of a canoe or kayaks. 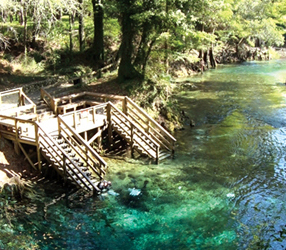 The banks of the Suwannee River and the surrounding bottomland are dotted with some of the most beautiful caves in Cave Country. Jerry knows them all and has access to some less well-known spots that don't disappoint. Pick one! Rock Bluff Spring - accessible only by boat. Guided dives include use of a canoe or kayaks. The caves along the Withlacoochee River are stunners and many can only be accessed by boat. But they are worth the effort. Go see for yourself! Other caves on the Withlacoochee are accessible only by boat. Guided dives include use of a canoe or kayaks.